Wynton Marsalis, the internationally acclaimed musician, composer and bandleader, educator, and leading advocate of American culture, will be speaking in the Great Hall on January 17 in a free, public event. Mr. Marsalis has created and performed an expansive range of music from quartets to big bands, chamber music ensembles to symphony orchestras and tap dance to ballet, expanding the vocabulary for jazz and classical music with a vital body of work that places him among the world’s finest musicians and composers. His music consistently incorporates the blues, all forms of jazz from New Orleans to modern, swing as the primary rhythm, the American popular song, individual and collective improvisation, and a panoramic vision of compositional styles from ditties to dynamic call-and-response patterns. Mr. Marsalis’ core beliefs and foundation for living are based on the principles of jazz. He promotes individual creativity (improvisation), collective cooperation (swing), gratitude and good manners (sophistication), and faces adversity with persistent optimism (the blues). 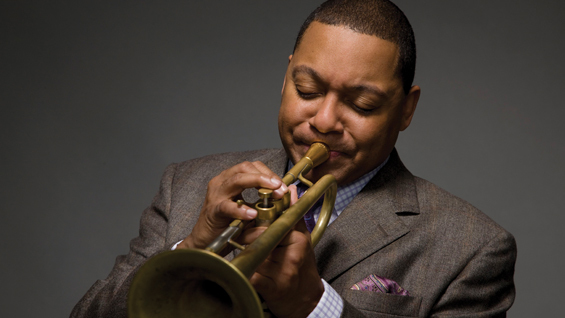 Wynton Marsalis has devoted his life to uplifting populations worldwide with the egalitarian spirit of jazz. And while his body of work is enough to fill two lifetimes, he continues to work tirelessly to contribute even more to our world’s cultural landscape. The event is free and open to the public. General public, including the school community, should reserve a space here. Please note first come, first seated; an RSVP does not guarantee admission as we generally overbook to ensure a full house. of free speech and a witness to the flow of American history and ideas.